Each Wednesday, I post little snippets about what’s happening, and what I’m working on. My crazy colorful sweater is coming along. 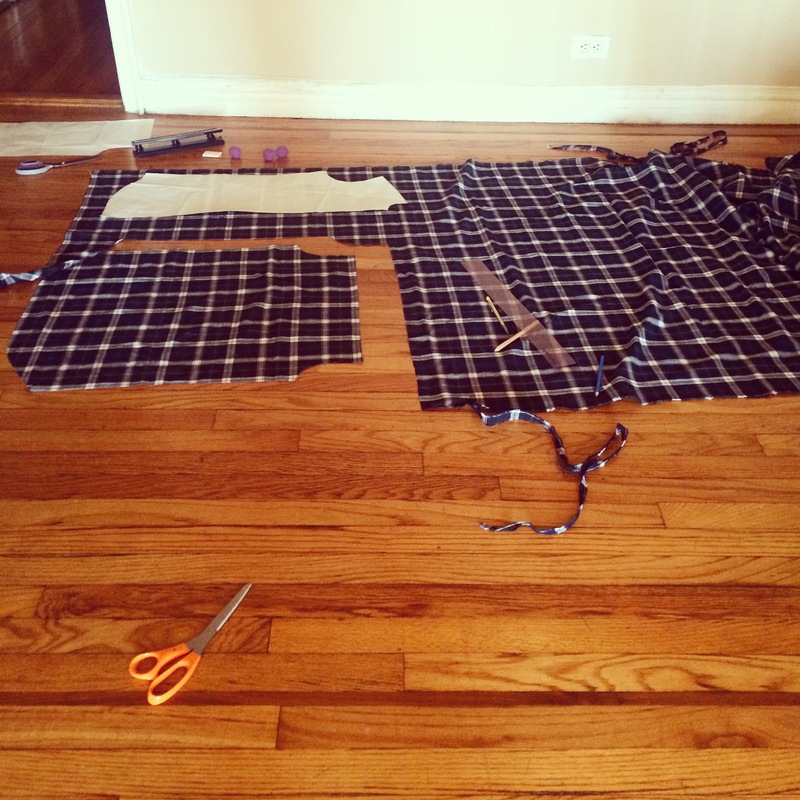 It’s pretty slow going, and there was a bit of a hiccup when I realized I had vastly underestimated the yardage I needed (by about half) because I miscounted the number of rows I had to the inch. Luckily, I found more yarn, and I’m transitioning my colors now, so all should be ok. Fingers crossed. 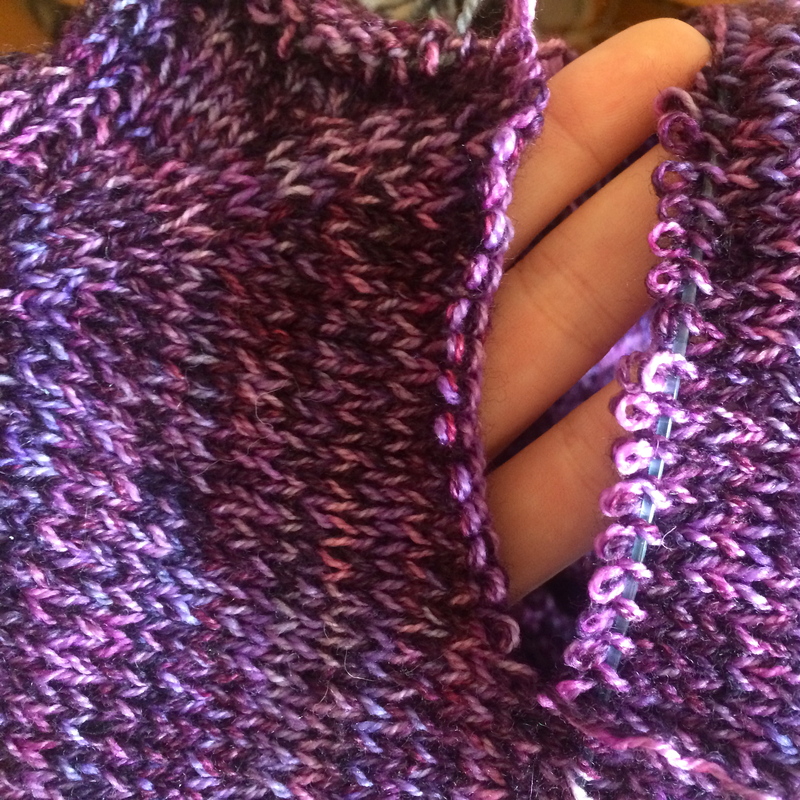 And then I tried on my purple sweater and decided I hated how the neckline was sitting, so I cut it off, wound the yarn back up, and am going to re-knit it. But at least I’m working off of the correct row count for this sweater. So as sort of a consolation prize for the sweater mishaps, I cut the fabric for my first Archer button up shirt, and started sewing it together. Unfortunately the fabric slipped, or wudged, or something while I was cutting (I mean, it’s not like I was being super careful) and the stripes don’t quite match at center front. But I’m making it anyway, because a) I want the shirt, and b) I’m planning for it to be an over-shirt anyway, so it’s not like I was going to wear it closed very often. Once the shirt is all sewn together we’ll see how “off” the stripes actually are, and we’ll also see if I still don’t care. At least there was a consolation prize for the consolation prize. 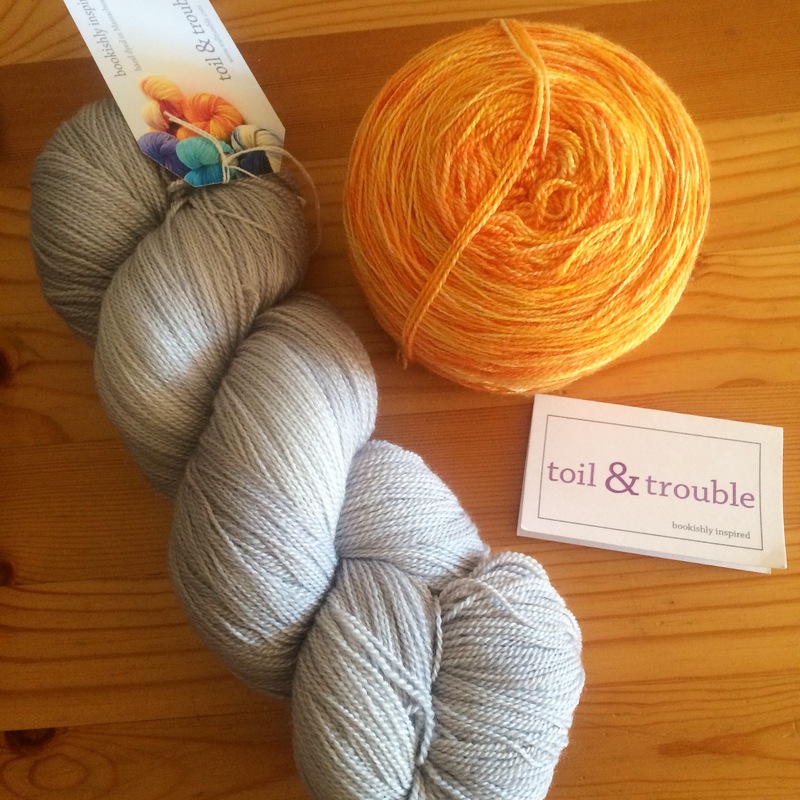 Two skeins of absolutely lovely yarn arrived from Toil & Trouble! 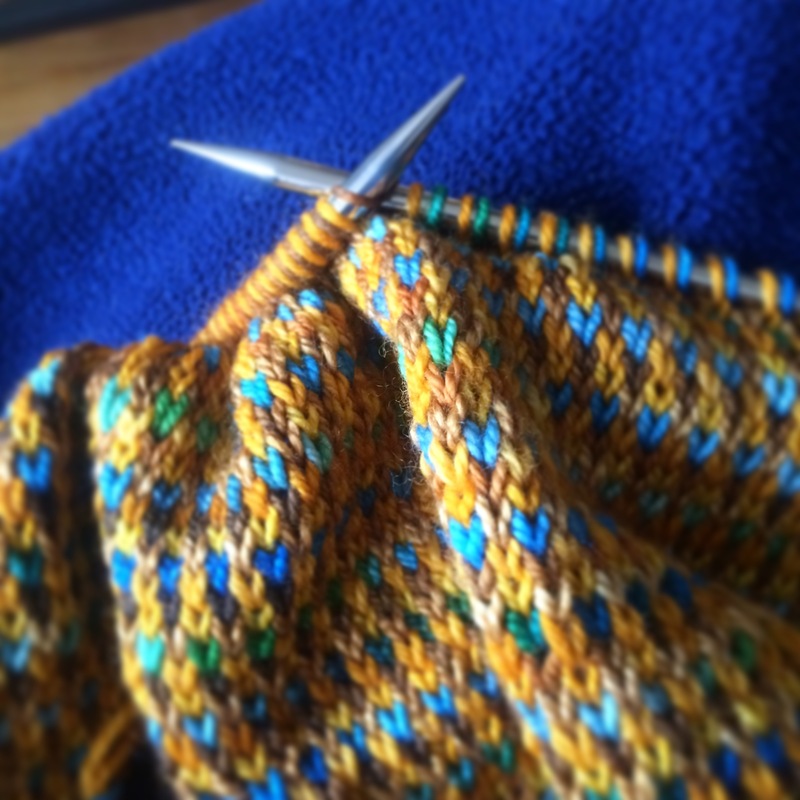 I’m working up a new design in it, and I can’t wait to start knitting with it! Yay! PS. If you’re in the US have a fabulously wonderful Thanksgiving. And if you’re not in the US, have some pie anyway. I’m totally loving the colors in your colorful sweater! And your new yarn looks luscious. Thanks Alicia! And I can’t wait to start working with it. Luckily you found some more yarn for your colourful sweater, I like the look of it so much! And that Toil & Trouble yarn is super gorgeous. Thanks Tahnee, I’m really really glad I found more yarn that would work for this sweater. The Toil & Trouble yarn is, I think, even prettier in person!